It’s so rare I get to sit down and just draw whatever comes to mind. 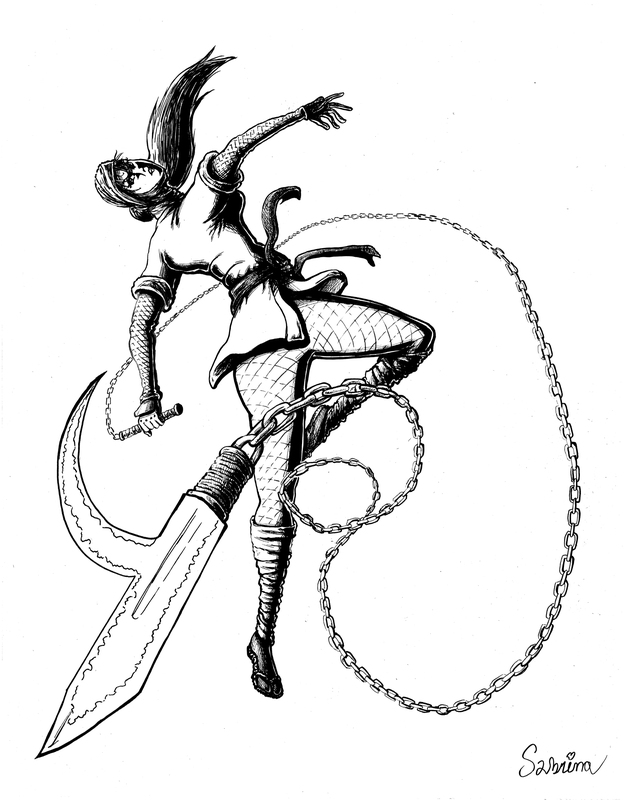 Here is a kunoichi (female ninja) wielding her deadly kyoketsu shoge. ← They’re only interested in one thing!